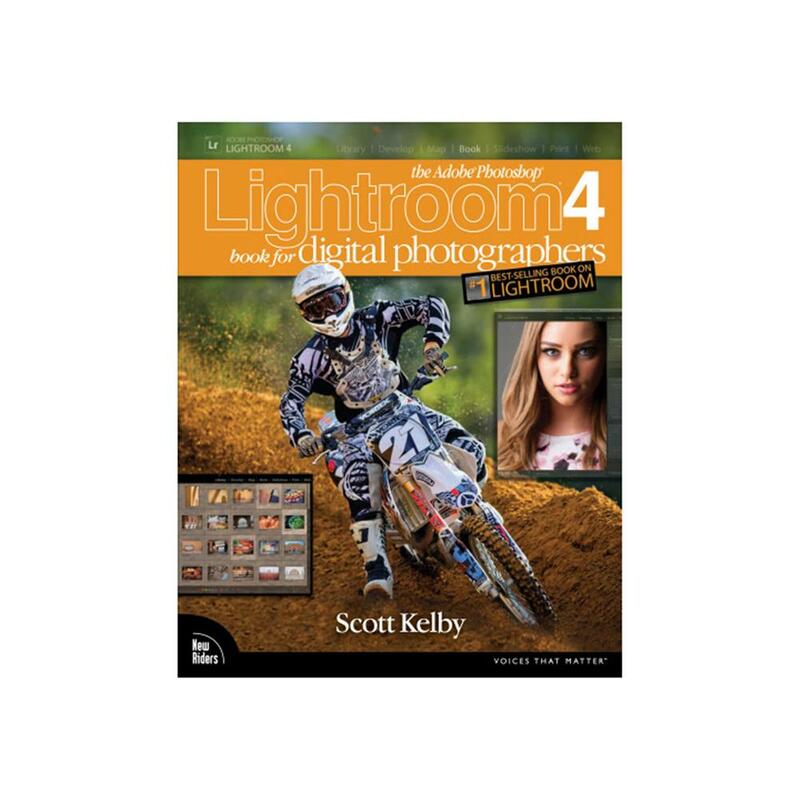 Since Lightroom first launched, Scott Kelby's The Adobe Photoshop Lightroom Book for Digital Photographers has been the world's #1 best-selling Lightroom book (it has been translated into a dozen different languages), and in this latest version for Lightroom 4, Scott uses his same award-winning, step-by-step, plain-English style and layout to make learning Lightroom easy and fun. Throughout the book, Scott shares his own personal settings and studio-tested techniques. Each year he trains thousands of Lightroom users at his 'Lightroom Live!" tour and through that he's learned what really works, what doesn't, and he tells you flat out which techniques work best, which to avoid, and why. What really sets this book apart is the last chapter. This is where Scott dramatically answers his #1 most-asked Lightroom question, which is: "Exactly what order am I supposed to do things in, and where does Photoshop fit in?" You'll see Scott's entire start-to-finish Lightroom 4 workflow and learn how to incorporate it into your own workflow. Scott knows first-hand the challenges today's digital photographers are facing, and what they want to learn next to make their workflow faster, easier, and more fun. He has incorporated all of that into this major update for Lightroom 4. It's the first and only book to bring the whole process together in such a clear, concise, and visual way. Plus, the book includes a special chapter on integrating Adobe Photoshop seamlessly into your workflow, and you'll also learn some of Scott's latest Photoshop portrait retouching techniques and special effects, which take this book to a whole new level. There is no faster, more straight-to-the-point, or more fun way to learn Lightroom than with this groundbreaking book.